We can arrange pickup and drop off from both of Bangkok’s airport – Suvarnabhumi and Don Muang, and tours of the local attractions. Through our affiliates, we can arrange golfing trips all through the week to many of the superb golf courses in the area. Single person; a couple of mates; or a family. we are here to serve your needs. 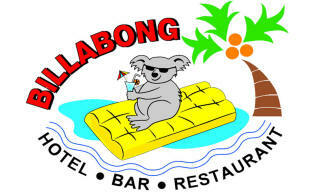 The Billabong Hotel is situated in central Pattaya in a vibrant entertainment district and is within easy reach of the beach, Walking Street, Pattaya beach, shops of all kinds, and the nightlife that Pattaya is famed for. It is smack bang in the middle of L.K. Metro which is now known as “Little Walking Street” with 14 agogos and more to come for the single traveller. If you decide to wander outside of Pattaya – and there are some beautiful places to see in the near vicinity – then there are taxi services right outside the door, motorbikes that you jump on the back of, or if you are up to Thai driving, why not try renting a bike or car? Try a trip to the Tiger Zoo, The Crocodile Farm, Nong Nooch, Pattaya Tower or just chill out on the famous Pattaya Beach. As you would expect with a hotel in Pattaya heartland, we have a bar that should be able to quench the driest of thirsts. 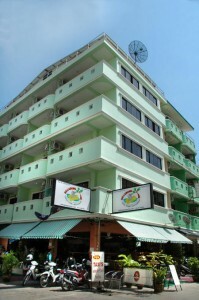 When you stay at the Billabong Hotel in Pattaya, you are number 1! Important! 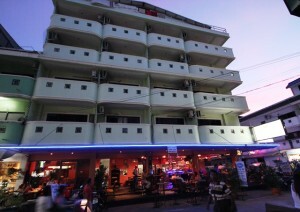 Most o f our staff speak English (of sorts) and hey, this is Pattaya. Nothing is a problem – Mai pen rai! Our 24 hr bar area is open all day and all night, and is a great place to meet your mates, maybe chill out in the afternoon and watch the passing parade, or party hard at night with our beautiful hostesses and dancing girls. We have plenty of chilling area, a sports lounge, alfresco areas, 2 free snooker tables and plenty of space to party. From 10pm til late, come and rock out with our house band. And our friendly ladies are always on hand to,entertain you, make you feel at home and take care of your every need. All you have to do now, is to take a look at our rooms, decide which you want, call us or book securely online, and then it is “Welcome to Pattaya”.